Kriti Sanon stole the hearts of all with her hot looks romancing Super Star Mahesh Babu in 1-Nenokkadine and she went on to romance Naga Chaitanya in her second film Dochay. She later flew to Bollywood and after sharing screen presence with Bollywood Badhsah Shah Rukh Khan in Dilwale, she is now busy with numerous crazy projects like Luka Chuppi, Kalank, Arjun Patiala, Housefull 3 and Panipat. Despite her busy schedule, Kriti is hogging the limelight for her relationship with Sushant Singh Rajput whom she romanced in Raabta. 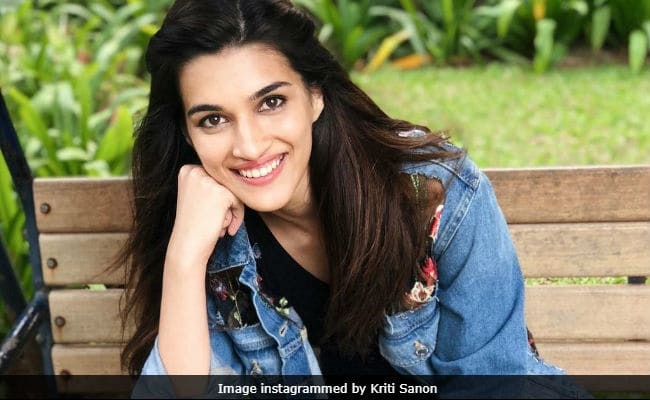 With rumors about her live in relationship spreading like wildfire, Kriti decided to put an end saying she likes Sushant Singh Rajput but is against live in relation. On the rumors she added, "Maine bhi bahot kuch padha hai, it's like a daily soap," She went on to reveal, "I don't judge people who are in live-in relationships, but the kind of family I come from, it's not morally acceptable. So I wouldn't opt for it. At the same time, I've told my parents that I would also never agree to an arranged marriage. It's very important for me to know the person I'm going to spend the rest of my life with."